Happy flippin’ Wednesday. Son of a $&#*%! Yep. 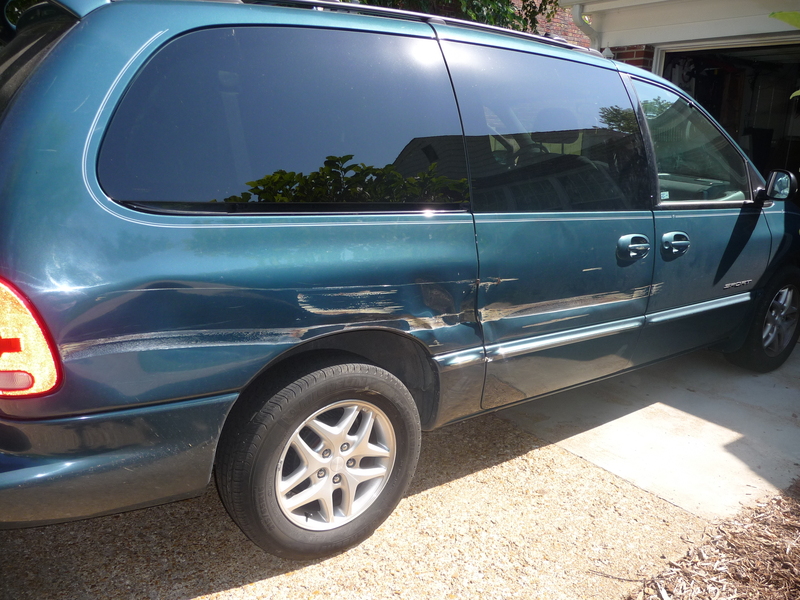 My poor ‘ol beater van is now truly a beater van. This pic does not do the damage any justice…feeling sick. Thankfully the only harm done was to my van. No one in the van (me and all three kids) was hurt in any way. And the drain pipe attached to Molly’s clarinet instructor’s house is apparently all well. What an embarrassing, pain in the pocketbook and arse morning!!! Just what we needed.